Manufacturers of synthetic foams often refer to their products as “latex,” but only natural latex is made from the sap of the rubber tree without toxic additives. 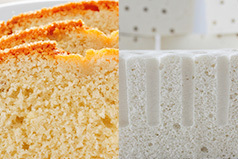 Latex mattresses vary in degree of purity, customizability, and price. True natural latex contains at least 95% natural rubber. Many latex mattresses are blends of some amount of natural latex mixed with a variety of chemicals and fillers. Latex mattresses have a wide price range, depending primarily on the quality of latex and casing materials. For sleepers who find heat buildup uncomfortable or tend to "sleep hot," wool is a good material to consider. A layer of wool fiber within a mattress casing will dissipate excess heat. Microscopic air pockets throughout wool batting create natural insulation that increases air circulation and moisture evaporation. This promotes a cooler, drier sleeping environment. A flexible wool-filled mattress can often double as a futon, however, a wool mattress likely won’t last as long as a latex or memory foam mattress. Comfortable, durable organic cotton fabric is used to encase many mattresses, and loose cotton fiber can also be used as a mattress fill. 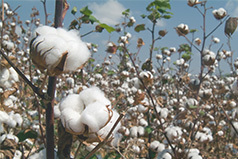 Cotton fiber does not contour or conform to the body’s shape, and typically results in a Medium-Firm to Firm mattress feel. 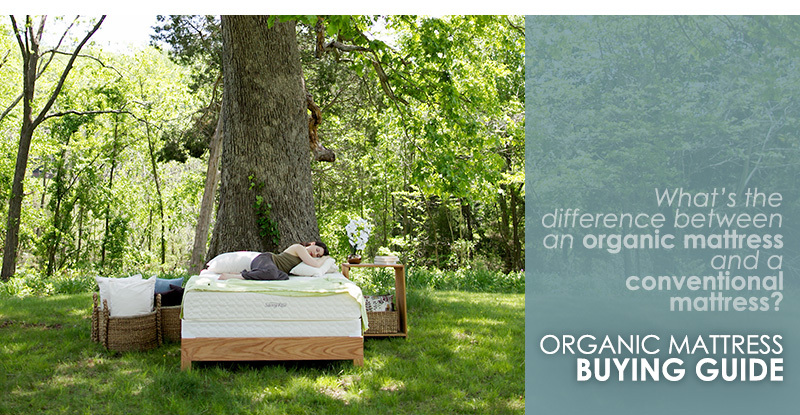 Mattresses with cotton-filled tops often contain a metal innerspring, yet sometimes the entire mattress may be labeled organic. There are a number of health concerns associated with memory foam, primarily due to the isocyanate chemicals in polyurethane. Toxicity aside, memory foam can be a comforting surface with a contouring reaction that provides good pressure relief initially. Common complaints about memory foam include heat buildup, difficulty changing sleeping positions and off-gassing chemical odors. Most innerspring mattresses contain toxic chemicals, however, there are also options that use alternative, natural materials. Materials such as latex, wool, and even coir (coconut fiber) can be found in an innerspring mattress. If you’re looking for a sound mattress at a good price, a healthful innerspring is a good bet. Synthetic foam is often mixed with plant-based materials for a different feel and a more “natural” product. Typically, these blends consist mostly of memory foam with some added percentage of materials such as plant oil or latex. This allows companies to tell a greener “story.” Blended foam mattresses offer a decent compromise between healthful materials and an affordable price. Inflatable air mattresses contain a variety of materials including polyvinyl chloride (PVC), nylon, polyurethane, and natural rubber. Their economical cost and easy portability are positives, however, they pale in comfort when compared to foam-based mattresses. Be leery of sleep-technology gimmicks and slickly-produced commercials. This material was introduced in 2006 as a solution for those who like the feel of memory foam, but would like a cooler sleeping surface. It should be noted that health effects associated with gel mattresses have not been studied, and that the added "cooling chemicals" may pose unknown risks. TIP: If you're enticed by rare materials, you can find high-end mattresses made with horsetail hair, cashmere wool, or silk fiber. Such specialty mattresses will be beautiful and comfortable, although they may not offer significant additional comfort or durability. But, if you’ve got the budget, they start around $5,000 and can go well over $50,000! The materials inside a mattress ultimately determine its quality and price. Cheap materials will often pose risks to health and may also result in poor performance over time. High-quality, natural materials will generally be more expensive, but ensure more healthful sleep and prevent toxic indoor air and dust pollution. Make sure to do a little research when it comes to mattress materials. Some companies use vague or invented terminology or will not disclose the actual materials used. Find a company that you trust!